The Columbia Plateau is expected to see relatively severe climate impacts, yet its wildlife already face numerous stressors, including extensive habitat loss and fragmentation from agriculture and exotic species invasions. 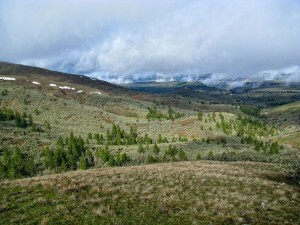 For this reason, maintaining ecological connectivity within the Columbia Plateau and to neighboring areas will be critical to promoting the ecoregion’s resilience to climate change. The Statewide Climate-Gradient Corridor Analysis (WHCWG 2011) offered a broad overview of climate-connectivity patterns across Washington, and was not intended to inform on-the-ground implementation. 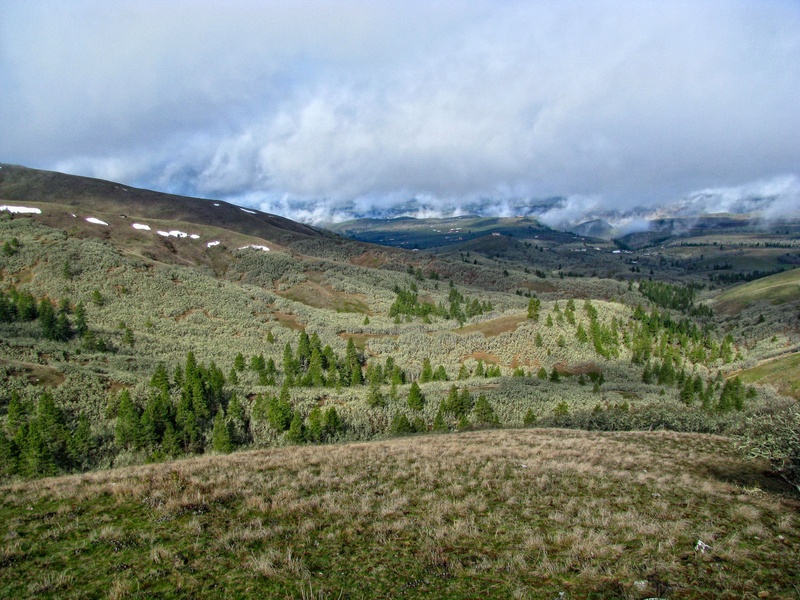 This Columbia Plateau Climate-Gradient Corridors Analysis incorporates finer-scale land use and climate spatial data layers, taking us one step closer to the information needed to guide local and regional climate-connectivity conservation action. This report: (1) provides a brief review of the methods used to identify these corridors (for more detailed methodology please refer to WHCWG 2011 and Nuñez et al. 2013), highlighting differences between the Columbia Plateau and statewide analysis approaches; (2) describes key emerging patterns and insights revealed by the analysis; (3) suggests how these map products might be appropriately interpreted and applied; and (4) identifies remaining information needs and opportunities for future analyses. Columbia Plateau Ecoregion Climate Gradient Corridors Data Package. This package is contained in a zip folder that includes layer files and metadata. If you have trouble downloading this zip folder, please contact us. Data layers are also available for download in our Databasin Washington Connected Landscapes Project gallery. Data layers are copyrighted by the Washington Wildlife Habitat Connectivity Working Group with user constraints and guidance.